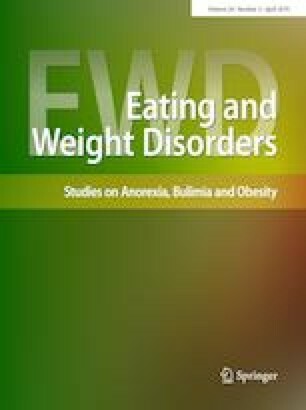 Assessment of the symptoms of body image disorder (BID) is crucial in anorexia nervosa (AN). Recent technological advancements such as virtual reality (VR) have improved the visual perception with 3D avatars and the feeling to be the avatar with the immersive conditions. This retrospective study examines the hypothesis that VR with standardized 3D avatars would improve body image perception and then body image evaluation by adolescents with AN, compared to the paper-based figure rating scales (FRS). Data of 31 female adolescents with AN were retrospectively studied. Paired data of perceived and desired body forms in addition to body perception index (BPI) (p = 0.2) and body dissatisfaction (p = 0.6), obtained by both VR and FRS were compared. Furthermore, correlation with validated psychometric questionnaires was also studied. Head-tracking technology allowed for the implicit measurement of explicit choices of patients. Participants with AN overestimated own body size regardless of the assessment tool used. BPI and body dissatisfaction did not differ significantly between FRS and VR. VR-based evaluation was correlated with the psychometric parameters BID and body dissatisfaction. Head tracking revealed significantly longer participant engagement with avatars representing malnutrition and underweight states, while those least engaged corresponded to obesity. Results of BID evaluation by VR standardized 3D avatars are comparable to those obtained by paper-based FRS. These findings suggest that comparable results obtained by both tools of evaluation reflect primarily the role of affective-cognitive perturbation in BID. The perceptive component could be better evaluated using biometric-enhanced assessment tools. Level V, cross-sectional descriptive study (evaluation data retrospectively studied). Thanks to C2Care for the realization of the software. All the procedures performed in this study involving human participants were in accordance with the 1964 Helsinki Declaration and its later amendments. This research received approval from the Est I persons protection committee (Comité de Protection des Personnes-CPP EST I, N°2017/57), December 14th, 2017, and the French national agency for drug safety (Agence Nationale du Médicament et des Produits de Santé), December 07th, 2017. Informed consent was obtained from all individual participants included in the study and their parents.